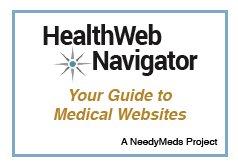 NeedyMeds is celebrating 20 years of offering health-saving resources for those seeking affordable health care. You can see how much we've grown by viewing our timeline. Our 20/20 Vision Campaign — a suggested $20 for our 20 years in service — seeks to raise $20,000 this year. Please make a $20 tax-deductible contribution — or a gift of any amount — in honor of our 20th anniversary by donating via the form below or texting NEEDYMEDS to 91999 and complete the donation with your debit or credit card. Thank you for giving and making 2017 the year we help more people than ever! Click on this Donate button for donations through PayPal. If you would like to make a secure donation over the phone with a debit or credit card, please contact Carla at 978.281.6666. We are committed to financial transparency and are a Platinum GuideStar Exchange Member. Please click here for our annual report and to review our most recent federal tax return. 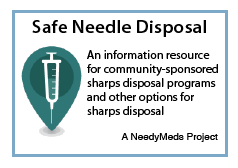 NeedyMeds is a 501(c)(3) nonprofit. Your donation is tax-deductible. Corporate or nonprofit organizations also have the opportunity to sponsor specific projects or programs and be recognized on our website. 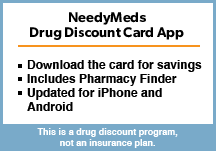 Please contact our President, Richard Sagall, MD if you are interested in supporting NeedyMeds in this way. Thank you for your support.